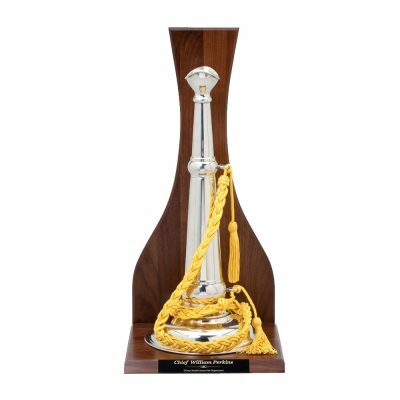 The trumpet has been a longstanding symbol of leadership in the fire service. This is made of solid pewter with gold braided cord and stands 19” tall. It also includes a custom solid walnut base with plate for engraving. This would be a great fireman retirement or long term chief award.